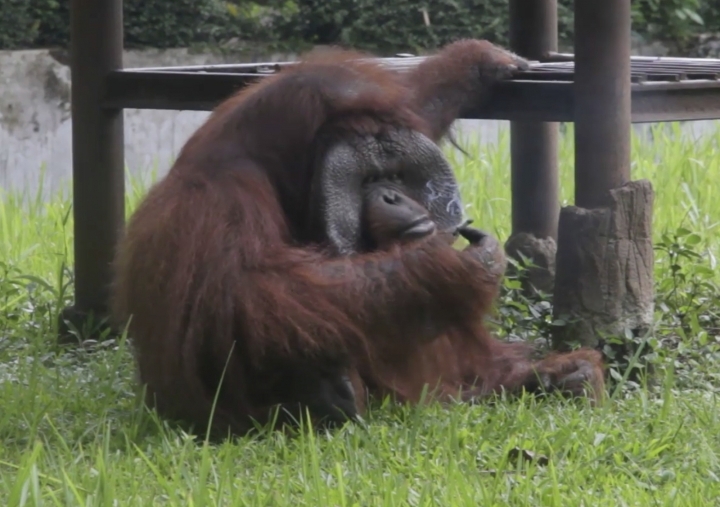 JAKARTA, Indonesia — A video of an orangutan smoking has brought more criticism of a zoo in Indonesia infamous for past animal welfare troubles. In the video shot Sunday, a young man flicks his half-smoked cigarette into the primate's enclosure. It's picked up by the reddish-brown primate, who expertly puffs on it to laughter from the crowd. 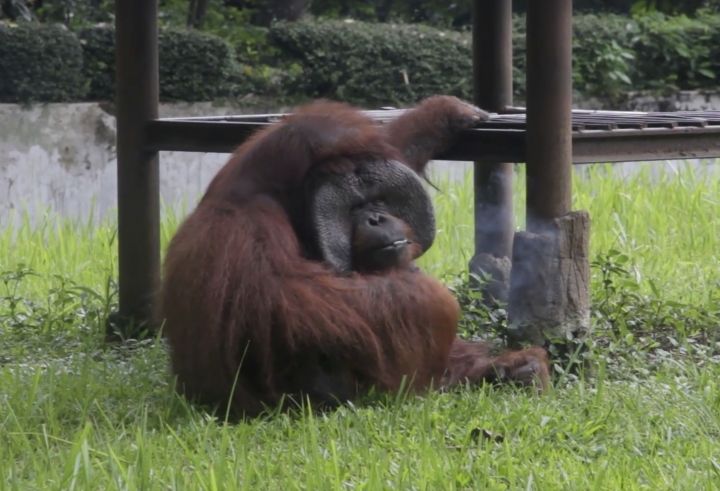 Activist Marison Guciano said Wednesday the smoking ape is further evidence of a lack of supervision and education at Bandung Zoo, about 120 kilometers (75 miles) southwest of the capital, Jakarta. Guciano said the man committed a crime but the privately owned zoo is mainly responsible because of its "ignorance of supervision and education for visitors." The zoo has repeatedly made headlines for starving and sick animals. It was temporarily closed in 2016 after a Sumatran elephant that died was found to have bruises on its body. A change.org petition calling for Bandung Zoo to be closed has nearly 1 million signatures. Visitors who review the zoo on TripAdvisor describe a dirty facility and sadness and anger at seeing the condition of the animals. Zoo spokesman Sulhan Syafi'I said "we very much regret that such a thing happened" and the incident was reported to police. Signs at the zoo warn visitors to not feed animals or give them cigarettes, he said. Substandard conditions are common at Indonesian zoos and Guciano blamed the government for being slow in establishing animal welfare standards.